ITU Telecom World 2016 is in its second day today. 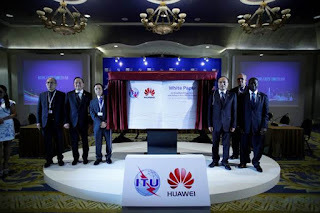 Huawei and the International Telecommunications Union (ITU) jointly hosted the first Asia Pacific Exchange on Broadband Regulation and Policy. They also released the White Paper on Broadband Regulation and Policy in Asia-Pacific Region: Facilitating Faster Broadband Deployment. Speakers at the exchange called for more comprehensive broadband policies to guide development and speed the rollout of national broadband networks, as the basis for growth in the digital economy. 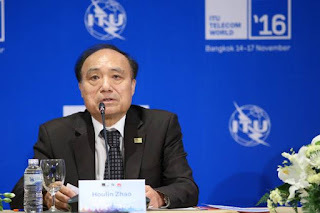 Houlin Zhao, secretary-general of the ITU, made opening remarks at the exchange. He started his speech with appreciation to Huawei’s cooperation with ITU on the Exchange, and Huawei’s long-term support to ITU as its member. He pointed out that the ICT technologies and broadband infrastructure have become core economic competencies, critical for national competitiveness. Meanwhile, broadband has become people’s basic aspiration. It’s difficult for us to imagine a time without a broadband network and applications. Hence, Government should make broadband an imperative policy and persistently work on it. 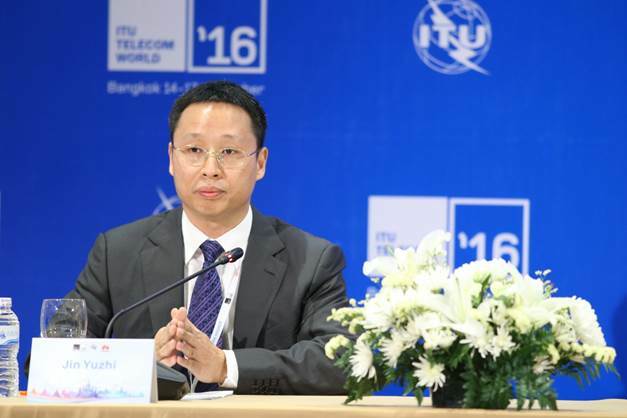 Houlin Zhao, secretary-general of the ITU, made opening remarks at the exchange. Development in the Asia-Pacific region has been very unbalanced, and there is great variation in connectivity across the region. According to Jin Yuzhi, Vice President of Huawei Southern-East Asia Region, Japan, Republic of Korea, and Singaporeare world leaders, with broadband penetration of 95%. But in Myanmar, Bangladeshand Cambodia, less than 5% of the population has access to broadband. Speakers at the exchange said that in those countries, more government and policy support was required to accelerate infrastructure growth and increase external connectivity. “Broadband should be part of national strategy. Governments should encourage telecom investment and infrastructure development like submarine and land cables, data centers and other network development,”Jin said. Jin Yuzhi, Vice President of Huawei Southern-East Asia Region, made opening remarks. During the exchange, Huawei and the ITU launched their White Paper on Broadband Regulation and Policy in Asia-Pacific Region: Facilitating Faster Broadband Deployment to offer policy guidance. The white paper calls on governments to lead infrastructure development, to build alliances incorporating different government departments and private industry, and to develop broadband-friendly industrial policy. Governments should improve infrastructure synergy and find ways to simplify the process of obtaining rights of way. They should require new buildings and renovation projects to include fiber connections, produce explicit standards for compensation for eminent domain, and start universal service funds. Governments should legislate comprehensive frameworks for ICT, expand international fiber links, loosen restrictions on carriers, investors, and infrastructure builders, release more spectrum, and make more efficient use of spectrum resources. During the exchange, speakers from many countries in the region agreed on the need to accelerate national broadband rollout to enable the digital economy. Leaders of regulatory agencies from Portugal, Thailand, Cambodia, India, Singapore and Malaysiadiscussed the development of broadband in their countries, and talked about the challenges they have faced and solutions they have developed. All parties said that they hoped for more global and regional cooperation, and that they were working to build more complete national industry policies, and improve the ICT investment climate to accelerate the development of their national broadband networks. Speakers from the event's sponsor said that Huawei is a leading provider of global information and communications technology (ICT) solutions. The company has a depth of expertise as an ICT industry advisor, long experience delivering successful national broadband solutions, and global operations and systems for training telecommunications professionals. Huawei is ready to work with all the nations of the Asia-Pacific region to develop their broadband capacity, and to build a better connected Asia-Pacific. About 200 government officials, industry leaders, and technology experts around the region attended the exchange. ITU Telecom World, first held in 1971, is one of the most important and largest telecommunications expos in the world. The theme for this year's expo is "Better Sooner. Accelerating ICT Innovation to Improve Lives Faster".